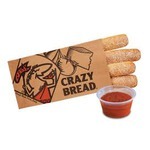 As a lover of carbs, Parmesan, and garlic I highly recommend Crazy Bread! 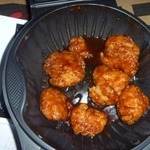 I will caution you though, it can be very addicting, especially if you live or work next door to a Little Caesars! J'adore ce produit. La barre n'est pas trop dure et j'adore le goût. 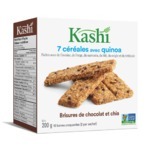 Un bonne option pour manger un peut plus santé. J'ai même réussi a faire changer les habitudes de mon conjoint. 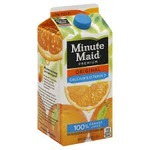 Minute maid is a great drink , I constantly find myself buying minute maid products for the children in my home as well as for myself.Its an alright price depending on where purchased,can be bought in most grocery stores and tastes great . Our Family tried this over the holidays on a whim and we are so glad we did! Its excellent. 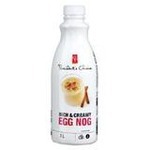 The best Egg Nog we have ever tried and only brand we will buy from now on. 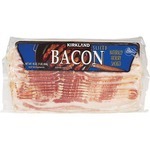 This Costco brand bacon is the best buy we have found so far. 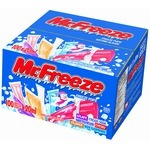 This product is one of the most bought items we get at Costco. 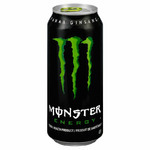 The taste is great and you cant beat the price! A must buy for families! 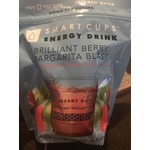 We found this product while in the states and fell in love. It tasted amazing. We had a lot of meat cheese and crackers while visiting theme parks and pool side. 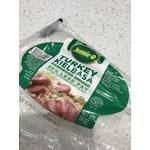 Wish we could get Jennie-O products in Canada as they are so good!!! 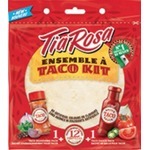 This is a good Tex-Mex kit, the seasoning has the perfect amount of spices to enhance your chicken/beef flavour and the flour tortillas are decent too. Sauce is not the greatest. The price of this kit is a bit high though. 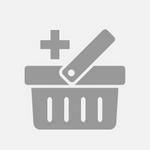 McCormick Salad Toppings are a delicious addition to a salad. They offer a perfect blend of seeds and nuts to add a little something special to your salad and increase the flavor. 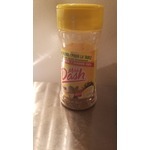 I have been able to coax my fiancee into eating more salads just by adding this blend to them! This smoothie is really really good. It is made from mango puree and it only contains natural flavours. It is also not too sweet. It is worth the definitely worth the price. This milkshake is so good. There is so much cookie in it I love it. It is the best milkshake ever. It is so creamy and it is not too sweet. It is definitely worth the price. I like how this tastes. It tastes exactly like berry yogurt. It is quite nutritious because it contains real fruit and it also does not contain any artificial flavours. You are getting the real deal. 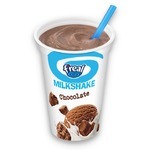 Wow, I am very impressed by f'real smoothie and milkshakes. They are the best. It is healthier than other milkshakes, because f'real gives you the real deal. This smoothie is amazing. It does not contain any artificial flavours. It is made with actual fruits. It contains banana and strawberry puree. I would buy this again. This milkshake has a great consistency. It also is not too sweet and it has a very nice taste of chocolate. I would definitely buy this again. It does not contain artificial flavours. I could really taste the vanilla. It is so creamy and has a really good consistency. The milkshake is not too thin and it is not too thick. I really love the taste of it.